Booking recommended to secure a seat for your child. "First come, first served" for walk-ins. 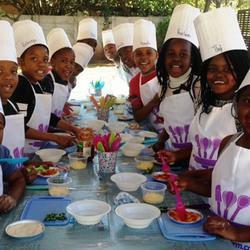 Please sms Jeanri on 061 478 8290 or info@cookingupastorm.co.za. 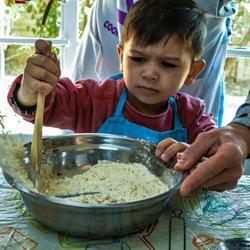 • Customised on-site culinary lessons for individuals - for yourself, your kids or your domestic worker/housekeep/nanny or au pair. 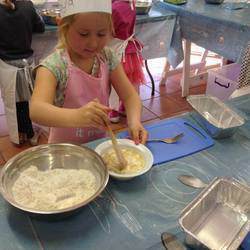 The lessons take place in your own kitchen! • Supplier of a variety of quality culinary equipment, e.g. aprons, oven mittens, Wizbake reusable baking sheets, etc. Also the sought-after Art of Cooking Recipe book by renowned author Carolie de Koster. We offer a mobile culinary service, i.e. we make house calls! Please contact Jeanri on 083 408 8802 for more info on the above. 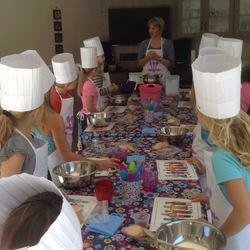 Are you looking for a fun activity to keep the kids entertained at your child's next birthday? 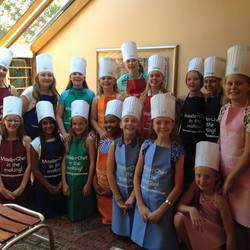 A culinary party is the answer! 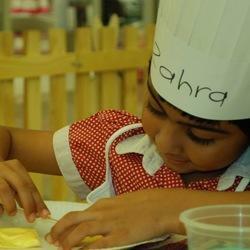 Not only will we keep the kids busy for 2.5 to 3 hours (depending on their age), you will be able to enjoy the party too! - the party can take in the comfort of your own home! We have done parties on patio's, in garages, dining rooms and kitchen. Also in clubhouses, restaurants and church halls (to name a few!). We can also recommend approved venues in and around Gauteng. - the party can be conducted in Afrikaans or English. - the items the kids make are age-specific and can be tied in with the party's theme, e.g. Ballerina, Coco, Construction, Dinosaurs, Doc McStuffins, Emoji's, Ferdinand, Finding Dory, Lego, Moana, Paw Patrol, Star Wars, The Secret Life of Pets, Trolls, Unicorn and many more! - the ideal age is 5+, but I do have options for smaller kids when accompanied by an adult, adults, etc. Please contact us for a quote for parties for kids 13 years and older/high school kids. New!!! For a Hansel & Gretel or Sugar Rush theme, we now also offer a Gingerbread or Sugar Cookie House Decorating party. Please contact us for more info. 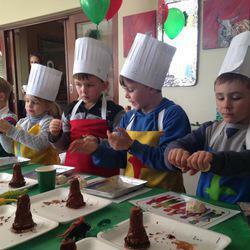 Please see Cooking Up A Storm's Facebook page for more photo's. We launched our own range of aprons with matching oven mittens in 2017. They are selling like sweet cakes! 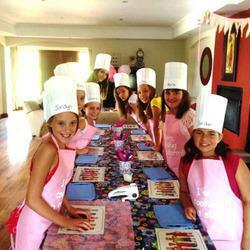 The aprons can be ordered as an optional extra when you book a culinary party. It can also be bought once off. Customised aprons in the size and colour of your choice as well as with either embroidering or printing can also be ordered for a party or as corporate gifts. Please click here to order.